In New York, if you were arrested on or after November 18, 2009, for Driving While Intoxicated (“DWI”) and you are convicted of DWI (and sentenced on or after August 15, 2010), you will be required to install an ignition interlock device (“IID”) in any vehicle that you own or operate for a minimum of 6 months. The ignition interlock will be a condition of your sentence and the Court must order you to install and maintain the device as a condition of probation or conditional discharge. This also applies to certain Penal Law offenses where an alcohol-related violation is part of the crime. 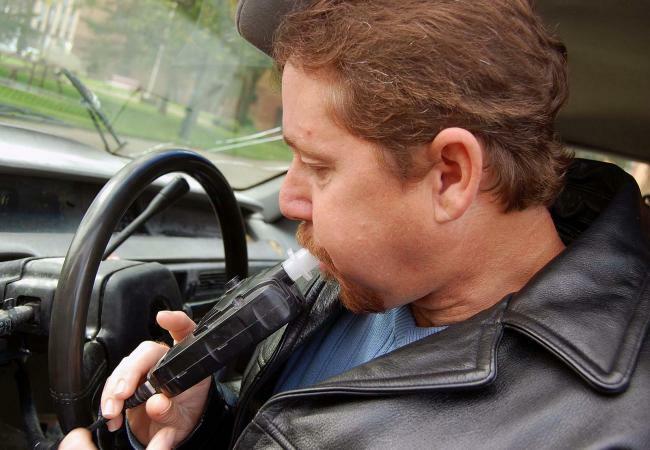 The IID is a device installed in your vehicle, which measures your blood alcohol level after blowing into it. It is connected to your vehicle’s ignition system and prevents the vehicle from starting unless you have provided an appropriate breath sample. In addition to the initial breath sample to start the vehicle, you are required to submit to rolling tests within 5 to 15 minutes, and then to random rolling tests not to exceed every 30 minutes. If you provide a positive breath sample, your vehicle will not start. The IID will then call for a retest within 5 to 15 minutes of the positive breath sample. A failed start-up retest or missed start-up retest will lead to your vehicle not working. If this occurs, you must have the device serviced within 5 calendar days to avoid your vehicle becoming inoperable. Also, you will be required to have the device serviced within 5 calendar days if you: (1) fail/miss a second rolling test after having failed/missed the initial rolling test; or (2) miss a service visit with the company that installed the device. If you are required to install the IID, you have 10 business days from sentencing to install system and then 3 days provide proof of installation to the Court, County Probation Department, and/or any other designated monitor. However, you will not be able to lawfully operate a motor vehicle without an IID until after you are sentenced. In addition, the failure to provide proof within 3 days of installation is a violation of the terms of your sentence and may lead to your being re-sentenced to harsher terms. You will be responsible for both the cost of installing and maintaining the IID in any vehicle that you own or operate. The cost of the Interlock for the minimum period of 6 months may range from $600 to $800, or more. The doesn't include additional fines, surcharges, or other costs imposed by law. If you are required to operate a motor vehicle owned by your employer, for work related purposes, you must meet certain conditions to operate the employer vehicle without an IID. Other than that, it will be a crime for you to drive any vehicle that does not have an IID. (3) Operating a motor vehicle without an IID after being subject to one pursuant to a Court order. VTL 1198(9). If the charge of DWI is reduced to Driving While Ability Impaired (“DWAI”) then you are not required to install an IID in your vehicle. Also, it does not apply to people convicted of Driving While Ability Impaired by Drugs, nor people convicted of Driving While Ability Impaired by the Combined Influence of Alcohol and Drugs.